We have had a Caribbean cruise on our “bucket-list” for at least 4 years. But every time we went to book it, there was another destination that appealed to us more or it was cyclone season in the area. After a few adventurous trips in the past years, we figured something relaxing was on the cards, so Caribbean cruising finally got a look-in. We were scheduled on the Holland America MS Zuiderdam travelling to 4 islands – and the main reason we picked this particular cruise? Simply because it was leaving on the date we needed it to leave on 🙂 This is relatively out of character for us as we tend to do research on where we are going and where to stay before we book. Oh well, let’s see how we go! Turks & Caicos – a very small and sleepy island that does lots of salt mining, lovely people who live on the island. TIP – take a cab around the island for around $25USD per couple. Puerto Rico – arrived around lunchtime which was a shame as we would’ve liked to see more BUT we did get to visit a UNESCO heritage site (i.e. 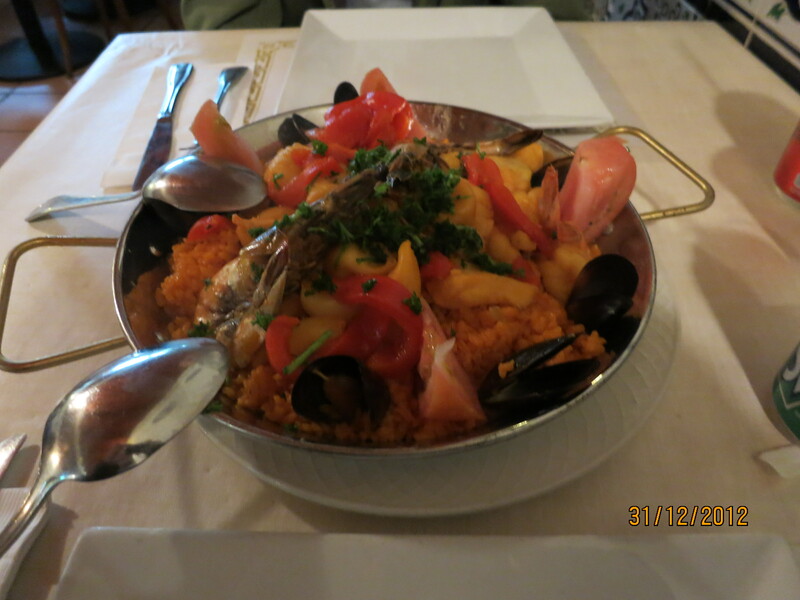 one off our true bucket list), ate a delicious paella at one of the restaurants and saw the island prepare for NYE. St Thomas USVI – the place to do tax-free shopping mainly for perfumes, jewellery, sunglasses, electronics and alcohol. 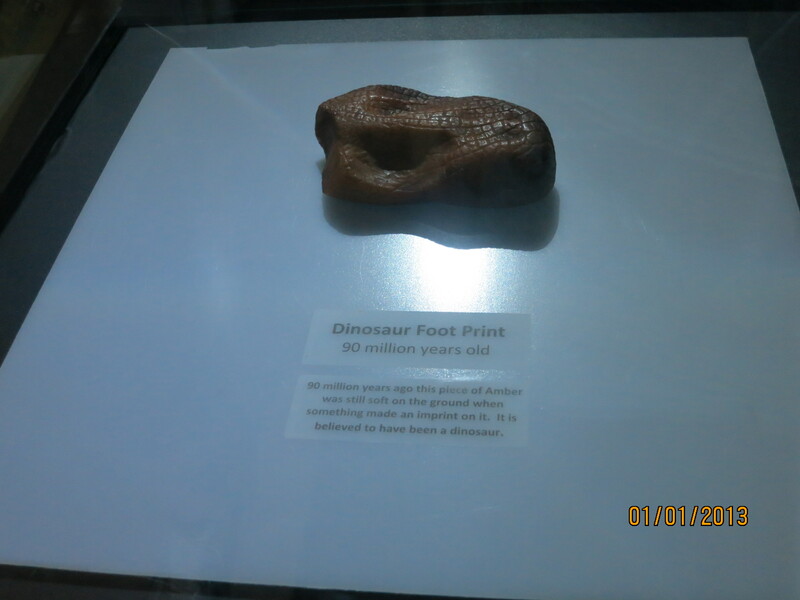 A visit to Blackbeard’s castle and seeing a dinosaur footprint in an amber stone was our highlight of this island. Bahamas – paradise, paradise, paradise, gorgeous beach with soft sand, clear and still water. 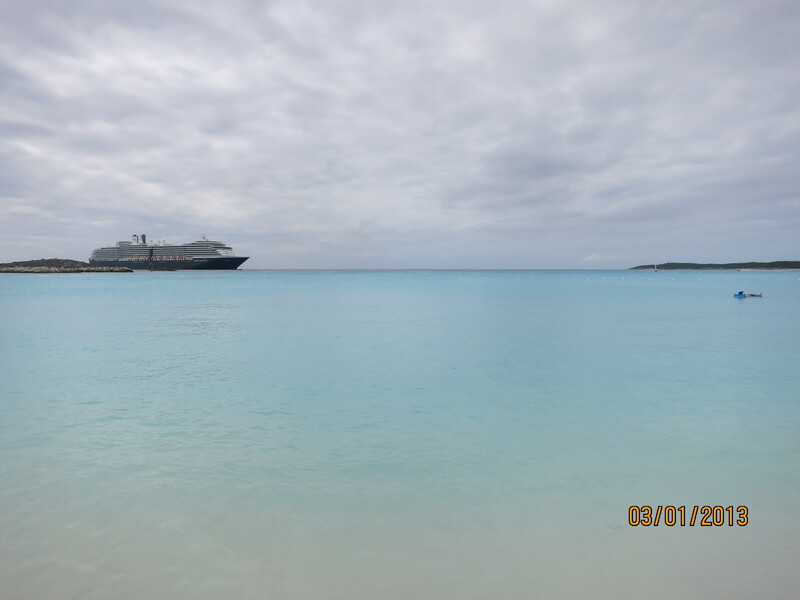 Half Moon Cay is a private island leased by Holland America so it is very secluded and the only people you really see are fellow cruisers and the staff from the ship. Hmmm… what can we say?? Cruising is very restrictive. Admittedly, the convenience of having transport, accommodation, food (most of them) and entertainment being all inclusive in the price can be appealing. But the overarching negative for us was the restrictiveness! The port stops on the islands were our life raft (excuse the pun) as they were our opportunity to escape from the claustrophobic confinements of the ship. Imagine being on a ship with a few thousand other people, vying for the same leisurely activities, shows, and restaurants. We won’t deny that cruising will suit some people’s taste (e.g. our parents love them) but we’re simply saying that its not for us. Our way of travelling generally involves a lot of “exploring”, getting lost amongst the culture of the place, seeing new and different things, not knowing where we will eat or what we will see tomorrow. All in all, the cruise in itself was fine – the service and food were fine and we really had nothing to complain about. We didn’t have leaky showers or toilets, or get violently ill or lose electricity or anything disastrous except our last night at sea was horrendous. We awoke to this consistent loud thump slamming the side of the ship – upon peaking out the window, we could see the huge swells of the sea. It was the waves crashing against the boat and good gosh, the thought of sleeping in life vests that night became tempting. P.S Despite what people tell you about “not feeling the sea or the rocking of the boat (even on still waters) because the boat is SO big” – we definitely beg to differ. You can feel it, well we certainly did! This entry was posted in Caribbean and tagged Bahamas, Caribbean, Holland America Line, Puerto Rico, Saint Thomas U.S. Virgin Islands, Turks and Caicos Islands.